Human Rights Campaign’s National Field Team has dozens of years’ experience in legislative, ballot and electoral campaigns, and they want to help you develop the same skills they have learned in their work across the country. 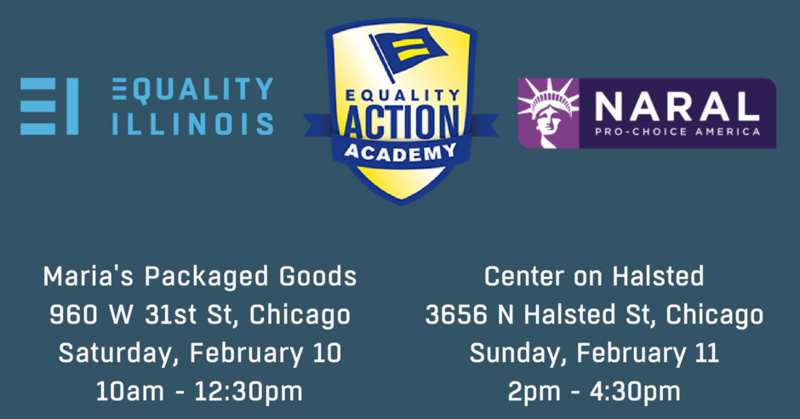 Equality Illinois and NARAL Pro-Choice America are partnering with HRC for these trainings. With the critical Illinois primary election approaching on March 20, our fight for 2018 starts now!